In 1943 The Northern Club became the Turf Club. The last gambling property at the location of the Turf Club was La Bayou, but by August of 2016 that was demolished for the expansion of the Golden Gate. 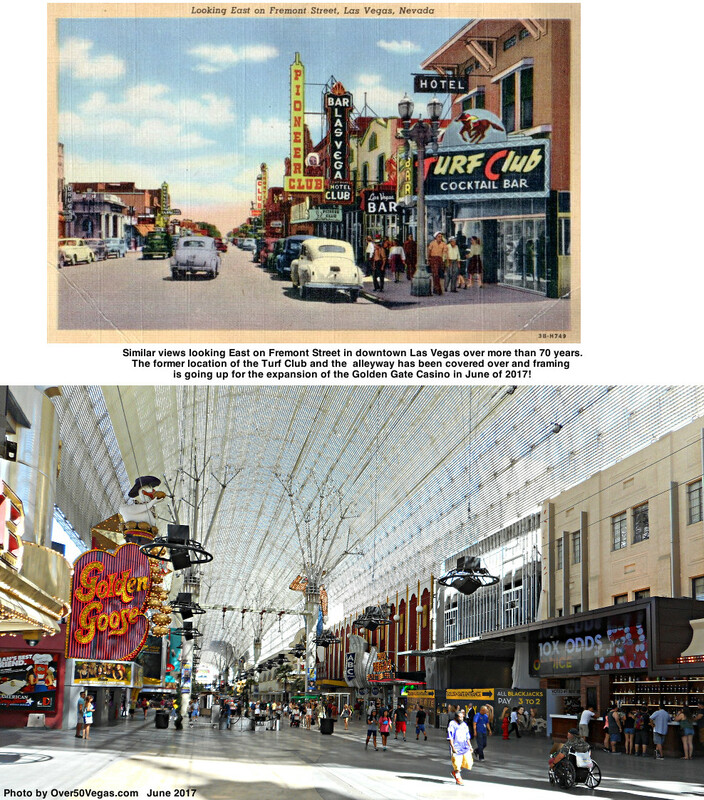 Many historic gambling establishments were in this location over the years as as shown below.